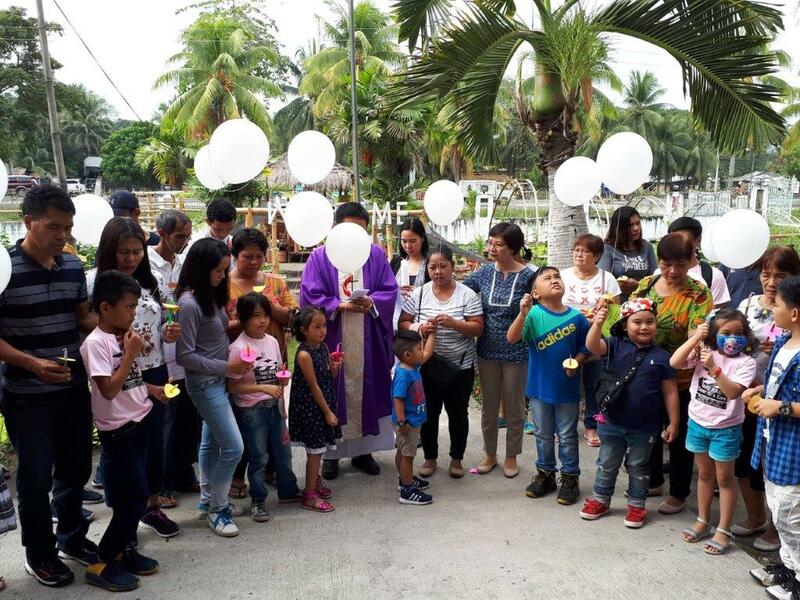 Pastor Jerick and Ms Simona P. Dela Cruz led the symbolic releasing of white balloons and candle lighting for the cancer survivors and their families. TANTANGAN, South Cotabato- December 16, 2018. The Agricultural Training Institute XII (ATI XII), with funding support from the Rice program, sponsored the 4th Year Anniversary of the Farm Families Outreach activity with the theme: "Take Four: Closer to a Cure" Support the Fighters, Admire the Survivors, Honor the Taken”. This activity was spearhead by Ms Simona P. Dela Cruz. Training Specialist III and rice focal person of the Center. Forty-five (45) families or about 250 persons attended the affair. Each family having one member stricken by cancer and still holding on for life. The 1-day activity started with a mass initiated by Pastor Jerick. The gathering honored the cancer survivors, those still suffering and fighting for it, and those who have perished. To lighten up their day, the organizer prepared plenty of foods, gifts, birthday surprises and family pictures in organize photo booth. Afterwards, they participated in a symbolic manner, the releasing of white balloons which symbolizes that they are already cured. Through this activity the Institution opened its hands to bring temporary happiness to the cancer patients and their families as well who are facing a huge challenge ahead of them.